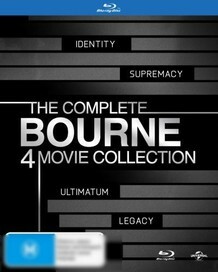 4 Individual blu-ray films. Identity, supremacy, Ultimatum and legacy. Always happy to combine postage with any of my other listings.